The third Lausanne Young Leaders Gathering is happening in Jakarta. YLG2016 is a gathering of 1,000 younger leaders from over 160 countries who will connect, pray, and discern together God’s leading of their generation for his global mission. It’s a privilege to be here and to share my notes of Jason Mandryk and Molly Wall from Operation World as they give their State of the World address. Most religions still tend to be concentrated in particular regions, especially Hinduism, Buddhism and to some degree Islam. Christianity is the most global religion, 2.3 billion Christians in 38,000 denominations in every single country, with more cultures, ethnic groups, languages represented. It is easy to see the prayer Jesus prayed for his disciples to have unity is still as challenging as before. For about 100 years Christianity represents one third of the world population. In 1960 29% of Evangelical Christians were living in Africa, Asia and Latin America, now in 2016 it is 78%, by 2020 it will be more than 80%. This is true not just for evangelicals but every stream of Christianity. We see that Evangelical Christianity is growing in 1960 there were 91 million (3%) now in 2016 there are 600 million + (8%). There is a greater degree of partnership and collaboration. This is partly due to the size and complexity of the church and mission but also an increased willingness and even desire to partner together. The global church is seeing a deliberate focus on prayer, for every one initiative you know there are ten you probably don’t know such as the Holy Ghost service in Nigeria seeing 1 million praying together, and others much smaller. Prayer is changing the church and the world. In the last 25 years more people have entered the kingdom than in any other point of history. A lot of this has happened in the context of persecution and suffering. In 1960 50% of the world had never heard the gospel, now in 2016 it is about 29%. There are 600-650 ethno-languages that have not yet received any part of the gospel. Definitely mission has shifted from the West to the rest onto everywhere to everywhere – polycentric mission. There is also a lot more reverse mission, former receiving fields are sending missionaries to the sending countries, a lot of people trying to reach places such as London. The world’s mission force is more diverse in nationality, location, organisations and the range of activities we engage in. The story of humanity is a story of urbanisation from the garden of Eden to the City of revelation. From 2008 the world population shifted over 50% urban population. Cities contain not just the most people, but influence, energy, and more. Human lifespan is increasing, and the birth-rate is decreasing. By 2050 there will be as many people aged 60 and over as those aged 15 and under. In 1980 there were 100,000 who reached the age of 100. By 2050 there will be 4 million who reach the age of 100. This will impact employment, retirement and pensions, medical care, but also our Christian service opportunities. As populations of global north decline (Japan, Germany etc. ), half of all population growth will be in India, Nigeria, Pakistan, D.R. Congo, Ethiopia, Tanzania, Indonesia and Uganda. Or in other terms half of all population growth will be in Africa. Only 10% of the world lives in ‘extreme poverty’ according to the UN. That still means over 700 million are living in injustice, exploitation, environmental degradation. The 62 richest people in the world own as much wealth as 3.6 billion people (50% of the population). Migration factors are the tip of the iceberg of the next 40 years. They will be the context for much of the most fruitful ministry. Which movie gets 7 sequels in the cinema and which one goes straight to DVD, which advertisement and posts you see in social media is decided by data. As the volume of data increases we are relying on others to prioritise and sort this. We are influenced by those most closely aligned to our own values which narrows our learning and prevents us from relating to those who are different to us, and so we then abuse them. This is increasingly important to us as morals, ethics, science and technology pushing up against boundaries. Forming a sound biblical world view and ethic is essential. As we look ahead we are facing critical unprecedented change. The world is getting increasingly complex. It is impossible for one group to understand everything. Increasing uncertainty as the push of a button can end the world or the release of a virus. Our lives have never been more secure and comfortable and yet insecure. Terrorism happens everywhere. The capacity to do the most good: all these technological changes mean we can communicate the good news to more people. 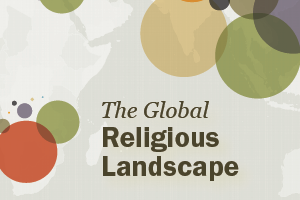 We hear the narrative that religion is dying out but the global statistics doesn’t show that, in 2025 around 90% of the world will be religious. Secularism declined since the 1980s due to China and Russia. The % of unevangelised is smaller (50% down to 29%) but due to population increase it is actually 600,000 more people (1.5 billion to 2.1 billion). 80% of those working in cities live in a slum context and yet only 1 in 6 Christian missionaries work in a slum. Rural ministry can’t be ignored yet either. There are 230 million migrants (5th largest population by country size) with an average stay in a refugee camp of 17 years. They are not camps but cities. 81% of the world’s non-Christians don’t personally know a Christian. For hundreds of millions of people they are the only gospel they may encounter. There maybe Christians in every country but the spread is very uneven 90% to 0.001% of population. It is about the tough slug of discipleship and making disciples throughout the body of Christ and the world. We have to radically demonstrate the power and the love of the gospel. We must do it because the King of Kings has commanded us to do it, we must obey; but we can do it as the one with all power has commissioned us to do it and therefore we can.